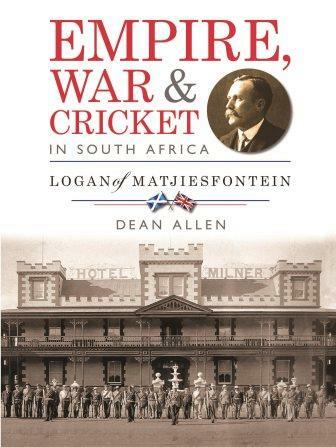 Dean Allen, the author of Empire, War & Cricket in South Africa, is returning to his old school West Somerset College to speak about his book. The Somerset County Gazette has featured a story on Allen and the positive reception of his book on “cricket in South Africa about the workings of the British Empire and the adoption of the game in Southern Africa”. Empire, War & Cricket in South Africa is a South African best-seller, and is on the short-list for Jenny Crwys-Williams’ Book of the Year. The article lists a number of Allen’s other impressive accolades and engagements. Set during a time when the country was heading towards war with the British Empire, the book explains how Logan was instrumental in arranging some of the first-ever international matches between England and South Africa, hosting a number of these at Matjiesfontein, the town he founded. “The book is filled with colourful characters, political intrigue and fascinating history, all with the theme of cricket running throughout,” Dr Allen said. « Does John Mitchell Meet the “Strict Criteria” to be the Next Stormers Coach?